Twenty Years Young | whitespace. Twenty years ago we opened the doors to our Gould Evans Phoenix studio – time flies when you’re having fun! And while we celebrate this milestone and wonder where the time has gone, we also can’t help but reflect on the hard work, determination and serendipity it took to make 521 South 3rd St. the dynamic, thriving environment it is today. To us, twenty years in Phoenix represents survival, commitment and ultimately success. So what is it that makes Gould Evans’ Phoenix so unique and special to our firm as a whole? Is it the award-winning work? The mix of architects, interior designers, graphic designers and multidisciplinary designers who transcend singular roles? 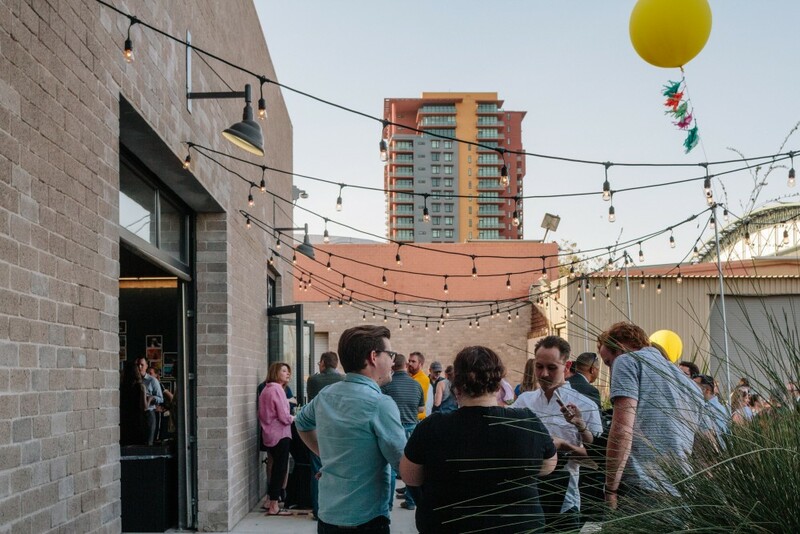 Or is it the exciting new studio in the Phoenix Warehouse District that captures the attention of passersby and draws the community in? We think it’s all of the above and so much more. 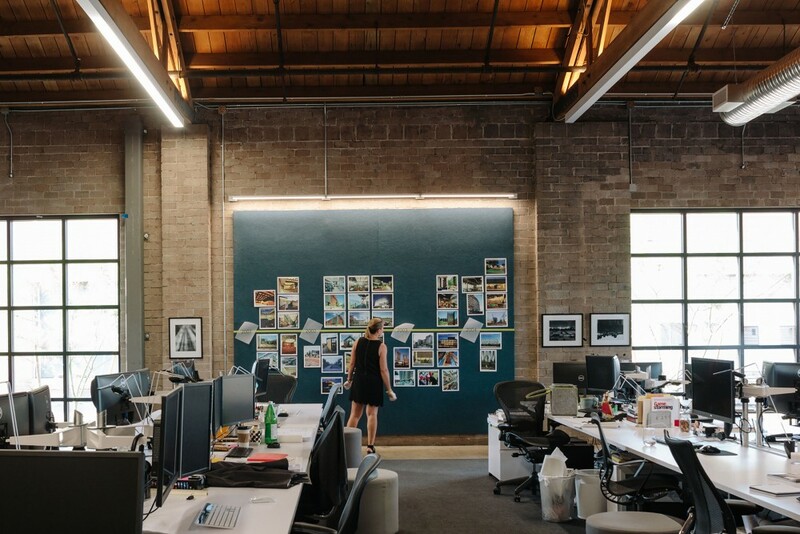 The work of our Phoenix studio embodies the values held by our firm as a whole: to be collaborative partners in the creation of spaces that positively impact our clients and communities. Our portfolio is intentionally diverse, and the Phoenix studio has found a great balance over the past few years with a mix of public and private clients. The most recent economic downturn hit Phoenix hard, but we took the pause that the recession offered to be more thoughtful and strategic about who we are and the type of work we want to do. Today the Phoenix studio is working on projects as diverse as the multi-phase renovation of Arizona State University’s Sun Devil Stadium, the Salt River Pima Maricopa Indian Community’s Tribal Justice Center, the University of Arizona Marroney Theater Renovation Programming Study, and a refresh of Aramark’s environmental sustainability platform, Green Thread. A guest looking at a portion of a timeline of projects completed by our Phoenix studio over the last twenty years (image credit: Caleb Alvarado). Gould Evans is a truly multi-disciplinary firm. We’re not just about architecture and interior design – we include artists, sculptors, writers, environmental designers, industrial designers, graphic designers and more. Our Phoenix studio is a perfect example of innovation and collaboration as it has offered an entrepreneurial perch to grow a studio within its studio – Canary – which focuses on using branding as a strategy to solve business decisions. Empowering those with whom you work is vital and it’s a top priority for our firm as a whole, which is why we have a strong team of self-starters who aren’t afraid to speak up, step up and take risks, knowing they’ll always be supported. A gathering on the front porch of the studio during last week’s 20th anniversary party (image credit: Caleb Alvarado). 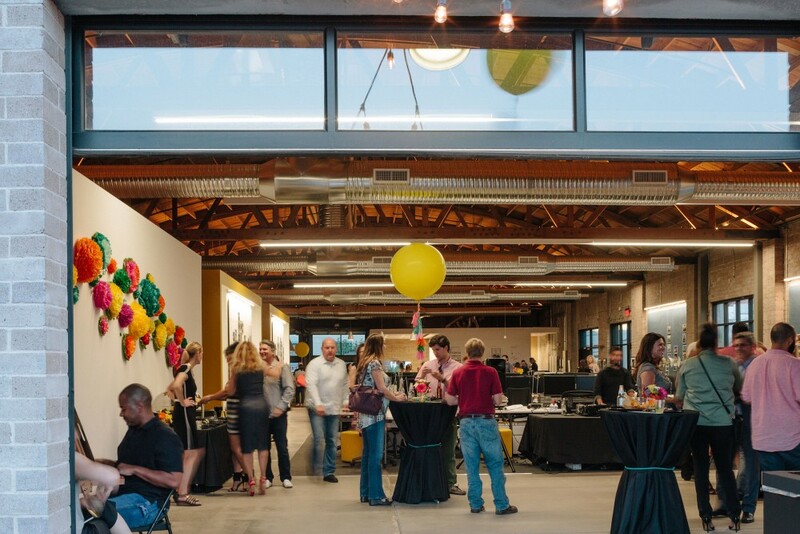 Our Phoenix studio is located in the heart of the Phoenix Warehouse District. We made the decision to move here a year ago because we saw, and continue to see, the potential of our historic downtown. Our renovations to a former paper distribution building have created an open, collaborative working environment for us and inspired others about the possibilities this part of the city offers. As we look forward to the next 20 years in Phoenix, our goal is to become even more a part of the redeveloping urban fabric. We see endless possibilities to connect people with our context. We embrace the complexities of our evolving city, and our wheels are turning about what is the next appropriate iteration of our neighborhood. As development continues, we need to make sure that a meaningful and authentic sense of place is retained along with a meaningful and authentic culture. 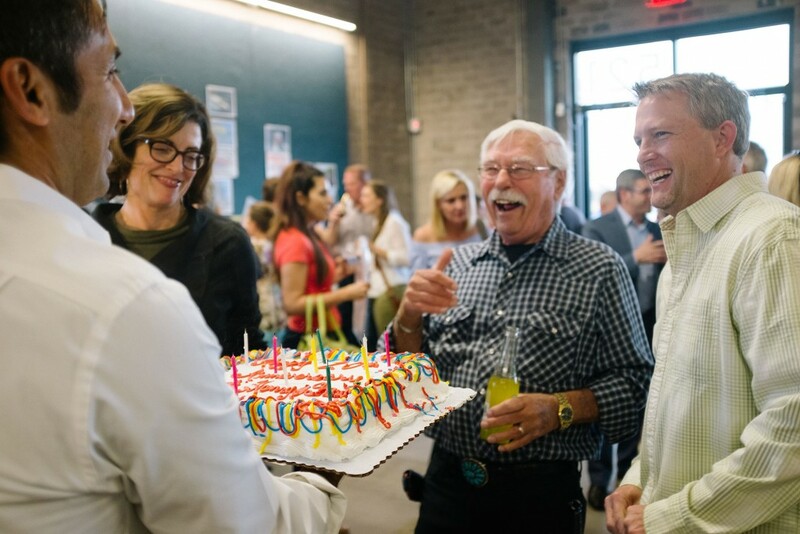 To learn more about the 20th anniversary, click here: http://azbigmedia.com/azre-magazine/gould-evans-celebrates-20-years-phoenix.